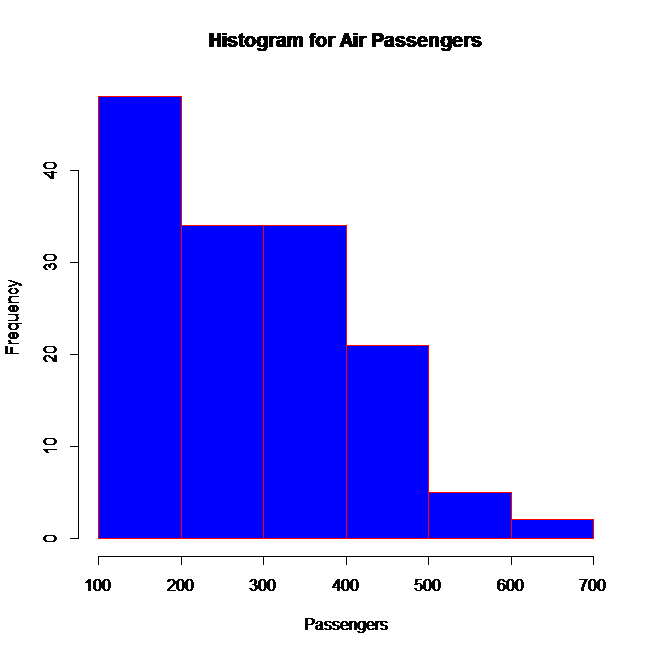 A histogram is a visual representation of the distribution of a dataset. A histogram represents the frequencies of values of a variable bucketed into ranges. Histogram is similar to bar chat but the difference is it groups the values into continuous ranges. Each bar in histogram represents the height of the number of values present in that range. R histogram is created using hist() function. This function takes a vector as an input and uses some more parameters to plot histograms. breaks is nothing but number of bins.